Peter Mace and Greg Hodges, co-CEOs at employee benefits services provider Hodges-Mace. When Salesforce announced transitioning to a co-CEO structure, critics were quick to point out the problems inherent to a division of power—tension, decision paralysis, discord within the ranks and more. Plus, if dividing the role were wise, surely more than a handful of Fortune 500 companies (American Financial Group, Oracle, KKR and Whole Foods) would be doing it. Yet, clearly co-leadership can work. Salesforce has continued to deliver since CEO Marc Benioff anointed Keith Block his co-chief in August of 2018, and plenty of small and mid-sized companies thrive under dual leadership. 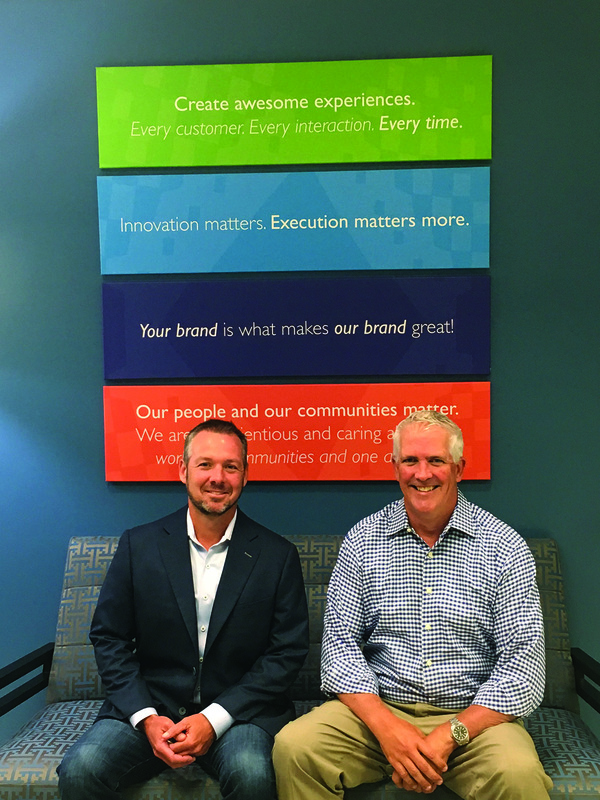 We recently talked with Peter Mace and Greg Hodges, co-CEOs at employee benefits services provider Hodges-Mace, about leading as a duo. Why did you choose this structure? And were you at all concerned about its viability? Greg Hodges: We were about four years into working together when we felt that we had enough customers, employees and work that we needed to divide and conquer. Early on, someone had told us the only thing worse than two partners is three. But we’re on the same page most of the time, and when we’re not, it doesn’t take a lot of effort to get there. Peter Mace: Looking back, knowing how many businesses fail and partnerships break up, it amazes me how well we’ve done considering that we didn’t spent a lot of time vetting each other. It was definitely a gut decision…. But at the same time, we did know that we both had good work ethics and similar goals as far as defining success for the company. How do you divvy up responsibilities? Hodges: We both knew the business inside out and probably could have divided the work a number of different ways, but in the end, I took on sales and he took operations, and that worked out well. Having separate roles gives each of us the autonomy to make decisions in our area without having to get consensus on every topic. Then we collaborate on big decisions. Also, I feel accountable to Peter to do my job well, and I think he feels the same way. It’s like two parents trying to raise a great, happy kid. You worked in a more traditional hierarchy. What issues unique to this co-CEO structure have you experienced? Mace: There are definitely times when you just want to make a decision, be done with it and move on without having to run it past someone else. But if you find the right partner who can serve as a trusted sounding board, two heads are better than one. How do you ensure that your 300-plus employees get a cohesive message from the CEO office? Hodges: We do companywide meetings where we both talk about the business and we also provide updates via e-mail. One of us will write those and the other will proof it. That helps us make sure that we hit the key messages and that our collective voice is captured in every communication. What would you tell leaders going into a co-CEO structure about how to make it work? Mace: The number one culprit for things going south is when one person is putting in more effort than the other. Second, you need to be aligned with what you’re trying to accomplish. And third, you need to check your ego at the door. Has an employee ever tried to play one of you off of the other? Hodges: If a situation like that ever comes up, we will compare notes and put the kibosh on it pretty quickly. Anyone who has worked with us for more than a day or two knows there are no secrets between us. Read more: Co-CEOs: Are Two Better than One?